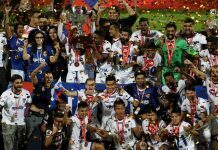 This season in I-League, Bangalore’s HAL had somewhat mixed season where they surprised everyone my starting strongly, but eventually lost the plot and fell in relegation zone, eventually avoiding relegation by getting couple spirited results at the end. In spite of, overall poor performances, few HAL players proved their mettle. 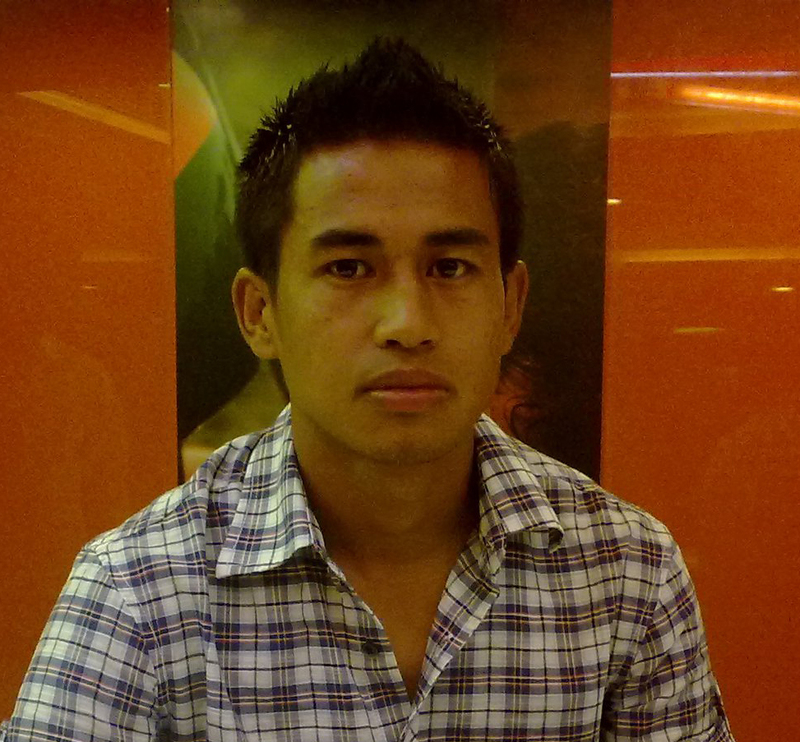 One of such exciting players is 19 yr. old Manipuri lad Malemnganba Meitei. This skilful and speedy winger, who can play from both left and right flanks, have given impressive performances. His performances saw him bagging two man of the match awards and praises from Desmond Bulpin, the Indian Arrows coach. He has scored two match winning goals against ONGC and Mumbai FC. 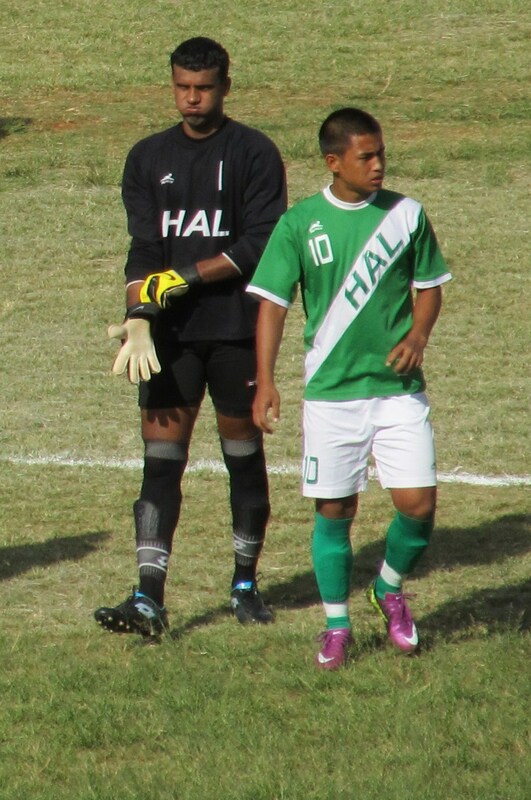 Before joining HAL, he has played Manipur in 2010 Santosh trophy, where he also scored a goal. He is also a recipient of player of the year award in Manipur and has scored most number of goals in a season in Manipur State League. Malem is definitely a player to watch out for in future. In an exclusive interview with Indian Football Network, Malem talks about his early days in Manipur and I league experiences. IFN : Malem, first of all thanks for giving your valuable time to Indian Football Network. Can you please briefly tell our readers about yourself. Malem : I am Kshetrimayum Malemnganba Meitei (Malem is my nickname). I am from Yairipok in Thoubal district of Manipur. I have one brother and two sisters. IFN : How did you get interested in football ? Malem : In Manipur, you are always drawn to different sports because Manipuri’s are sports loving people. My interest in football comes from the systematic coaching I had received and after watching Brazil’s thrilling performances in 1998 world cup. IFN : Please tell us at what age you started playing football and about your initial coaches. Malem : I was about 7-8 years old when I started playing. At first, I joined a camp held by senior players of our locality, then I moved to a development programs held by district and state associations. During my childhood, Ronel, a senior player, guided me a lot. I am thankful to him; he is more than a coach to me. Later when I joined my first club, NEROCA, I was lucky to be coached by Premkanta and Ibomcha. I am greatly indebted to my coaches who helped me in every step. IFN : How supportive was your family towards your decision of being a professional footballer? Malem : My family has always encouraged me a lot. My mom, Roma Devi, and dad, Ito Singh, come to watch most of the matches I play. My mom sometimes couldn’t watch me as she is a school teacher. IFN : You mentioned about Manipur being a sports loving state. Tell us about the scenario in Manipur regarding football. How are the facilities? Malem : There’s great interest on football in Manipur. Actually, in Manipur, we have good crowds for every sports, especially in football. Football in Manipur is growing. Now we have a Manipur State League (MSL) and Super Division, 1st Division, 2nd Division and 3rd Division every year. MSL is held under the AFC vision project and is attended by huge crowds. Many clubs are doing well now. NISA is performing well in 2nd Division I league, and soon we hope to see them qualify for I league. In terms of infrastructure and facilities, we are still lagging behind. The facilities are less, but in recent times it is improving. IFN : Tell us which clubs you have represented so far. Malem : I have played in NEROCA for two seasons (2007 and 2008), where I played in Manipur State League (MSL), then I moved to MSL Champions NISA in 2009, where I played in MSL and 2nd division I league. 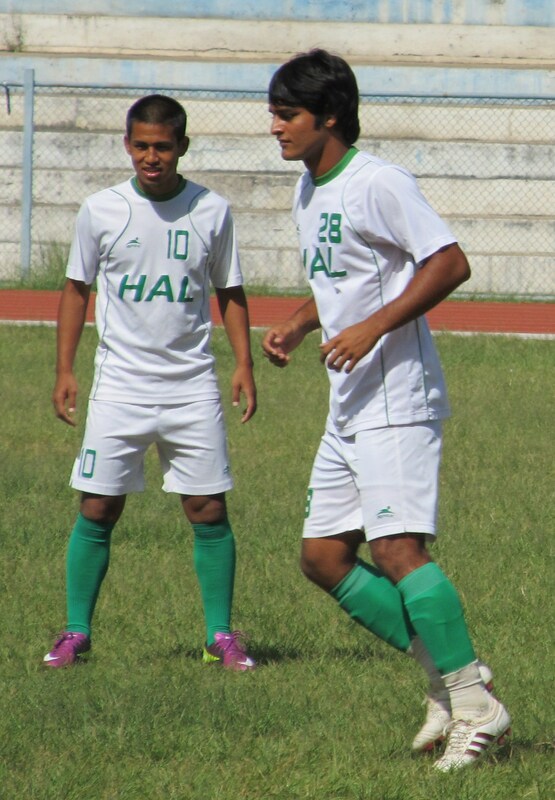 In 2010, I joined I league club HAL, from Bangalore, and I am right now with their squad. IFN : How were you noticed by HAL officials? 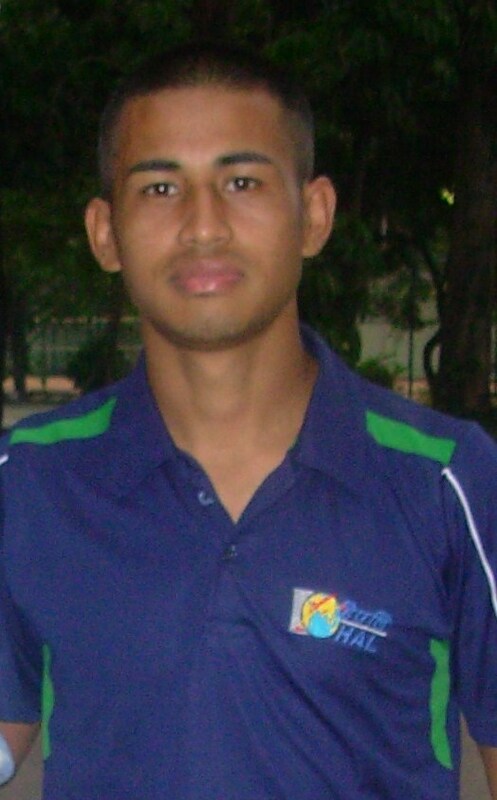 Malem : When I was playing for NISA in the 2nd division I League, we came to Bangalore for the final round. The HAL officials had seen my performances there and selected me when HAL got promoted in I League. IFN : What position do you normally play in HAL? Malem : I play as attacking midfielder from left and right flanks. However, sometimes I have also played as a forward, when the team needed me in that role. IFN : So, tell us about your experience of playing in I league for the first time? Malem : It is a very tough competition. The quality and standard of football is much higher than what I experienced in 2nd Division I league. IFN : HAL had a see-saw experience this season. They started this season well and did above expectations. However, later they hit a bad patch and struggled. And just when everyone thought they will relegate, they produced couple of good results and survived. Tell us about the last phase of I league, how you guys motivated yourselves. Malem : We worked hard and more importantly, work together as a team. Although the points were not coming, some of our performances were good and so we did not to lose hope. IFN : Your memorable game so far, in terms of your own performance? 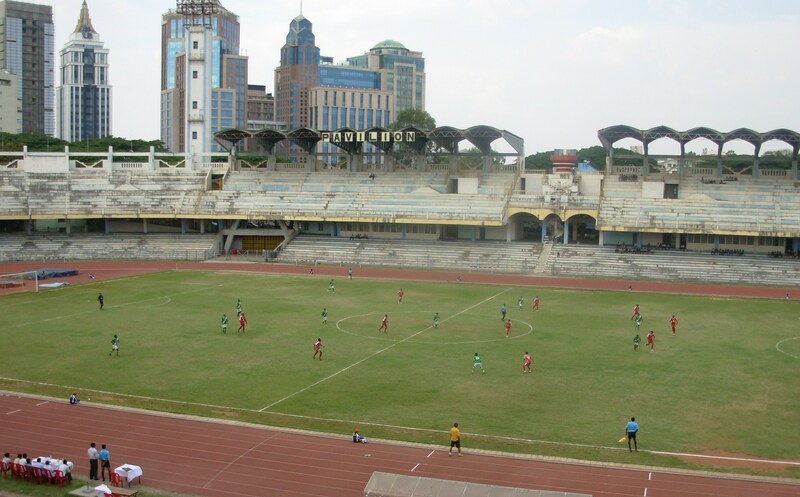 Malem : It will be the match against Mumbai FC in Bangalore on 19th May, 2011. I scored a goal and bagged the Man of the match award. IFN : Not many supporters come to see you guys in Bangalore? How do you feel about this, esp. when Bangalore draws huge crowds in IPL cricket matches? Malem : We have to accept the fact that India is cricket loving country and IPL has different and exciting atmosphere. So, in cities having IPL teams, there is always more interest in IPL matches. For footballers to draw crowd to football stadiums, we need display high quality football, so that crowds are excited. 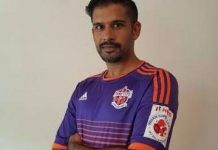 IFN : Fans debate on the fact that including foreigners in I league takes away opportunities for young Indian footballers. What’s your take on this? Do the Indian players get better playing against them? Malem : Yes, we definitely should play against high quality players. We should be able to fight against them to improve because in future we (Indian team) are going to play against them, that time we have to face eleven of them rather than three. We should not think only for the present but for the future also. And playing with the foreigners will make us stronger in future. 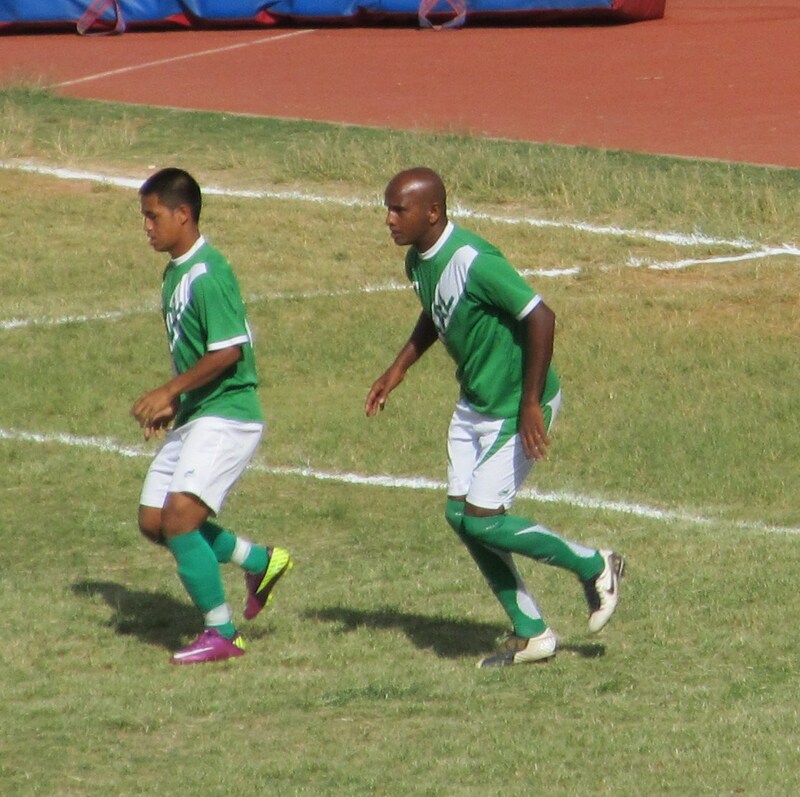 IFN : You have also represented Manipur in Santosh trophy. Tell us about your experience. Malem : Last year (2010), I had represented my state in Santosh trophy held in Kolkata. I played as a striker and also scored a goal against J&K. IFN : Looking back, what will you consider as turning point of your career? Malem : When I became the highest goal scorer in MSL and another old tournament called CC meet. For this I got the player of the year award of Manipur. This has inspired me to work harder and play better. I am targeting to score more goals in future. IFN : Your height is 5’5”. Now there is a trend of preferring taller players. How, you are trying to overcome this disadvantage? Malem : I work hard on aspects of speed and endurance. Speed and endurance must be maintained properly to overcome disadvantage of height. I watch players like Lionel Messi and Lenon and see what they do in the field even though they are of short height. IFN : Yes, that’s true. 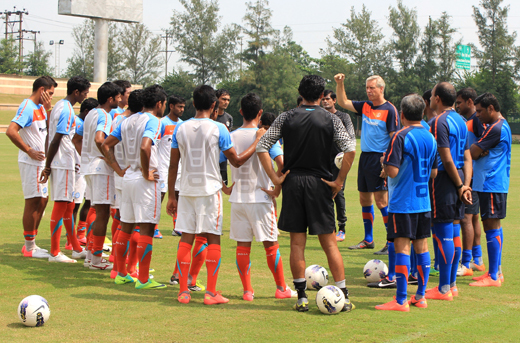 So, tell us, if you are given power to change one thing about Indian football, what will it be? Malem : I will like to see more teams competing in I League. IFN : Tell us who’s you favourite players/role models and which teams do you support? Malem : I support Brazil and Barcelona. My favorite player is Brazil’s Ronaldo. In India, I like Bhaichung Bhutia, Sunil Chettri and Bijen Singh. IFN : Apart from football, what else you do to relax? 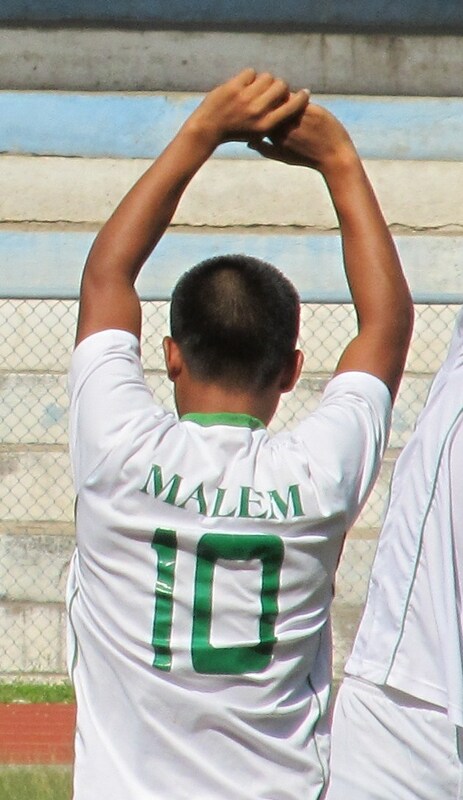 Malem : I like playing Volleyball, Basketball, Badminton, Table tennis and Football video games. IFN : What other sports you follow? Malem : Boxing and Lawn tennis. IFN : What would you have been if not a footballer? IFN : Finally, any message for young aspiring footballers? Work hard to achieve your goal. Never lose heart during the journey. 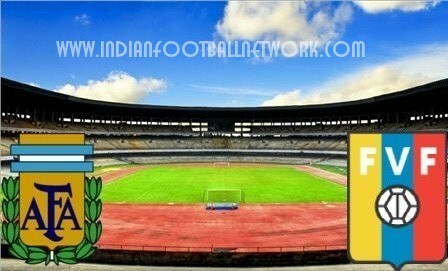 Indian Football Network are also thankful to IFN member Rudra Nayan Das for providing pictures for the article.